Available from stock for immediate dispatch. NEW! Calculator engraving service! Choose to have your new calculators engraved with school name, department, a logo or almost anything of your choice! Click HERE for details! Buying on behalf of your school, college or academy? Call us now on 01869 344500 for special pricing and support courtesy of the Casio Technology Advantage scheme! 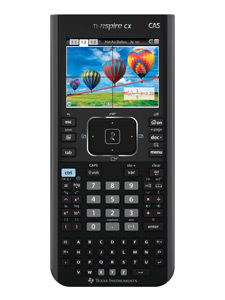 As successor to the FX9860G, the FX9860G-II is the first graphical calculator to feature a natural text book display as found on the Casio range of Scientific calculators, making it possible to display fractions, exponents, logarithms, powers and square roots just as they are written in the textbook. Comes with USB cable and software. 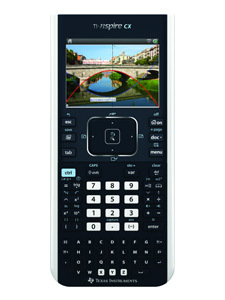 Order 20 or more FX-9860G-II calculators to recieve an automatic £1.50 discount per unit - only £59.95 + VAT each! The Casio fx-9750GII is the very latest in a long line of graphical calculators used successfully in mathematics teaching for over 20 years! With careful development in consultation with teachers and educationalists this model offers an even more comprehensive range of functions to enable all students and to stretch the abilities of even the most gifted. Functions include the ability to graph in terms of x, new statistical graph types, metric and imperial unit conversions, number features including lowest common multiple and modulo arithmetic. Additional statistics features to the TI-82: unlimited numbers of named lists with up to 999 elements, automatic creation of the residual list in the Y=editor,use any numbers as frequencies to calculate common statistical measures. Order over 20 TI82 Stat calculators and receive a discount of £2 per unit - only £44.95 + VAT! Visualize concepts clearly and make faster, stronger connections between equations, data, and graphs in full colour. In addition to the flexibility offered by TI-Nspires clear, menu-driven document structure, the CX handheld device is enhanced by a backlit colour screen with the ability to import images and overlay mathematical objects, bringing concepts to life. The device also includes a rechargeable battery.  Different representations can share dynamically-linked data using the TI-Nspire applications: Calculator, Graphs, Geometry, Lists & Spreadsheet, Data & Statistics, Notes, Questions and new Vernier DataQuest. Users can also split the screen, enabling up to four applications to be viewed simultaneously.  Import colour/black and white images from online sources or from your own digital archive and overlay graphs and other elements.  Create, edit, save and share work in documents within a familiar folder structure. 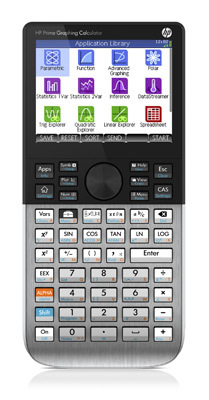  Ideal for all mathematical topics, such as graphing, geometry, statistics, data logging and more.  USB port supports handheld to handheld communication and connection to a computer or other presentation technology. In addition to the flexibility offered by TI-Nspires clear, menu-driven document structure, the CX handheld device is enhanced by a backlit colour screen with the ability to import images, bringing concepts to life. The CAS version enables the manipulation of mathematical expressions and functions. The device also includes a rechargeable battery. The HP Prime is the evolution of handheld calculating in a sleek, slim, brushed metal design that looks great and performs even better. Enjoy a feature-rich calculating experience with familiar HP keypad and a large 3.5-inch diagonal, multi-touch display and with the Advanced Graphing app, you can plot what other calculators cannot. Graph virtually anything in X and Y including inequalities and conic sections by simply entering the expression and pressing plot. You also get an integrated tool suite; HP Equation Writer supports multiple linear and nonlinear equation solving whilst HP Solve is time-saving application that allows you to store equations and solve for variables. Explore maths concepts with Dynamic Geometry, CAS (computerised algebra system) and spreadsheet applications. With the HP Prime you can easily switch between symbolic,graphical, and numerical table views of any mathematical expression with dedicated buttons. 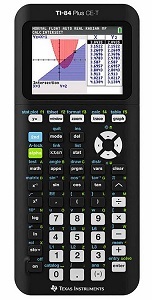 Save time and keystrokes with RPN and programmable functions, and see intermediate results while you work and For the first time ever each and every function can be turned on or off to tailor this calculator specifically for classroom or exam use. Now you can have the power of computerised algebra in the classroom whilst restricting its use in the exam room.